Each year, the Golden Ear Awards recognize and celebrate the outstanding achievements of the previous year in Seattle jazz. In the process, Seattle jazz fans and performers can take stock of and show gratitude for the region’s vibrant jazz ecology. Join us for the awards party on Monday, April 2, 7pm, at the Royal Room in Columbia City. Beloved radio host Jim Wilke will be on hand to emcee the night’s events, and KNKX’s Robin Lloyd will be in attendance to present a special Jazz Journalists Association award to one of Earshot Jazz’s very own. 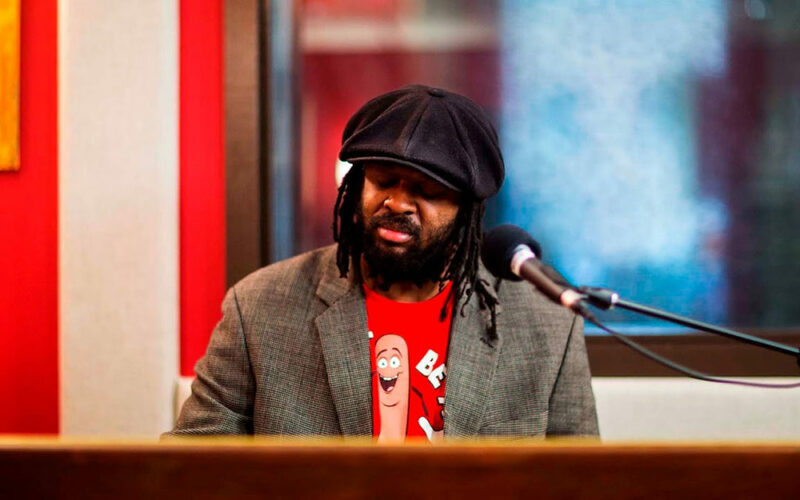 Be ready to boogie, as the always hot, always hip Delvon Lamarr Organ Trio (Delvon Lamarr, Hammond B-3, Jimmy James, guitar, David McGraw, drums) bookends the ceremony with two great sets. Tickets by donation. Advance tickets are available at earshot.org. Tickets do not guarantee seating; seating is available first come, first served. Reservations are available for guests who are dining, and can be arranged directly with The Royal Room at reservations@theroyalroomseattle.com.